Conrad Allan is a Midwest native originally from Chicago. Shortly after graduating from Ithaca College in New York, with a degree in Communications, he decided to trade snow for sunshine and moved to Los Angeles to pursue a career in the entertainment industry. Conrad spent 15 years working as an actor in film, television and commercials. Throughout those years he also worked in the hospitality industry for one of the world’s most renowned establishments, Spago Beverly Hills. Prior to joining the Bienstock Group, Conrad honed his sales technique selling “the Ultimate Driving Machine,” BMW. After spending time in the automobile industry and working with a multitude of people, he found that real estate was the profession to bring his skill set and abilities together. Conrad’s number one goal is making sure all of the clients at the Bienstock Group are comfortable and confident throughout the entire transaction. With a people first mentality, Conrad ensures that clients always know that they are in good hands. He believes people are the foundation of the business and that by treating people right, everything else will fall into place. 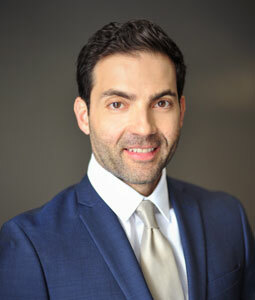 In his free time, Conrad is an avid sports and fitness enthusiast and is a fluent Greek speaker.